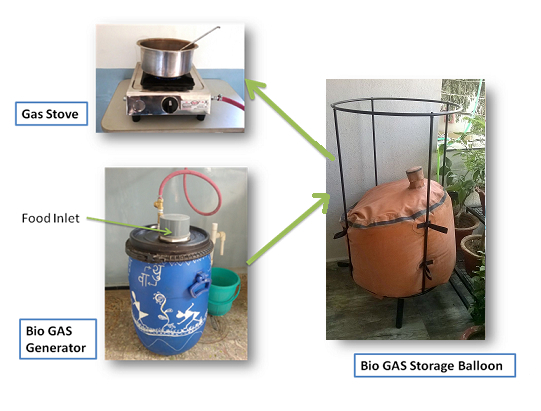 Vaayu is a biogas technology. It is a bacterial process where the carbohydrates in our organic waste is converted to Methane gas. The bacteria are called Methanogens. To get Vaayu working, all we do is feed it with our organic waste. The gas generated will be stored in a balloon. This is taken to our kitchen to light the biogas burner. The cooking experience is exactly the same as that of our regular LPG or piped CNG. Have a look at the different Vaayu solutions.